Finished Coaming – The skin goes over the baseplate and is attached to the Velcro underneath. 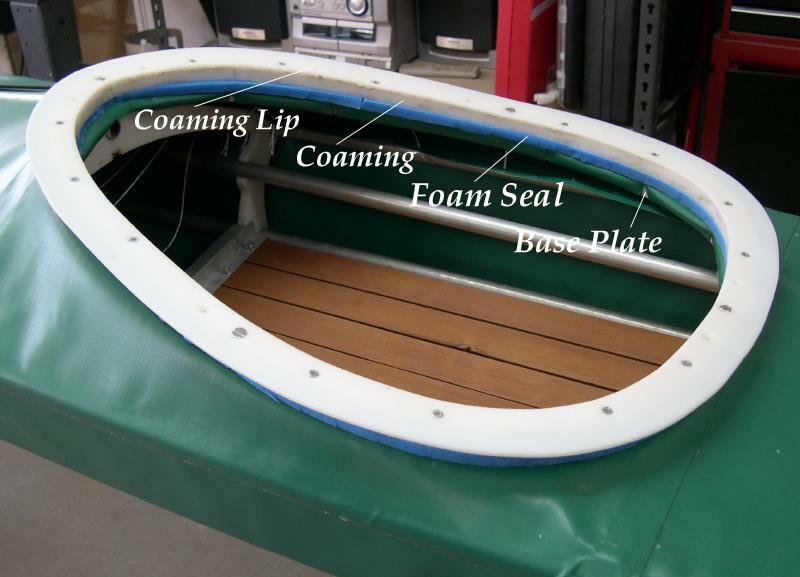 The foam is sandwiched between the coaming and the skin. The 4 machine screws are attached. Go to One-Piece Coaming for skin attachment details. Use the (Back) key to return.